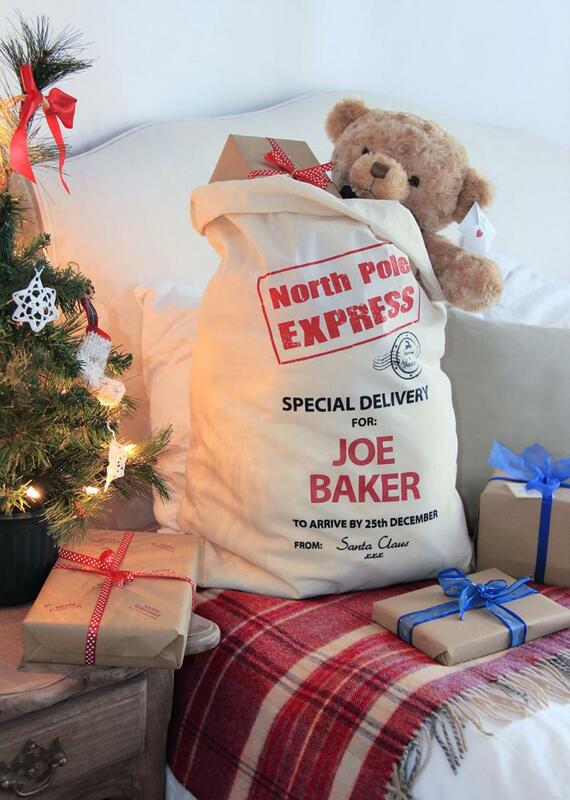 Make Christmas Day this year that bit more special for the little ones with our personalised Santa sacks. 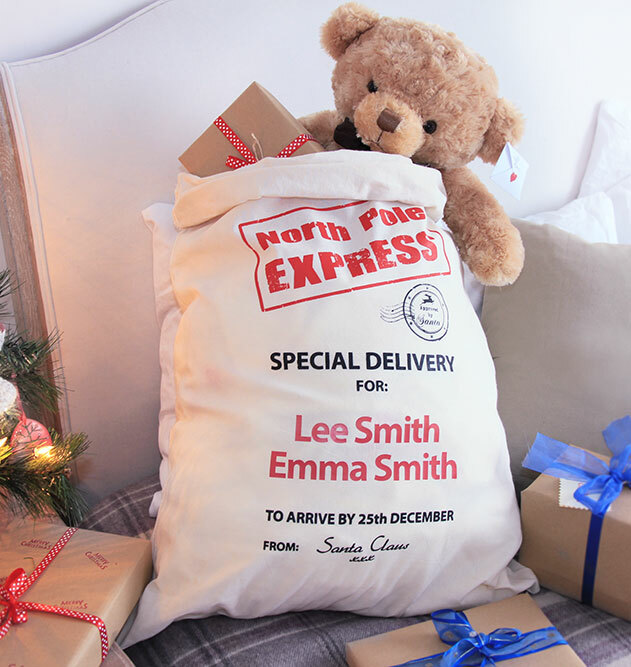 See the wonder and excitement on their faces as they open a Christmas sack delivered especially for them - directly from the North Pole! 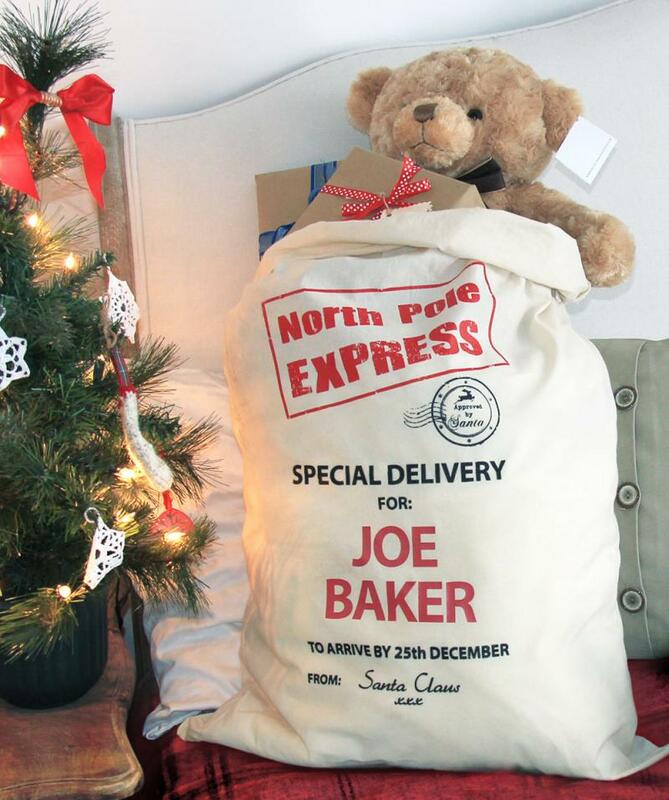 Screen printed by hand in high quality ink on a cotton drawstring bag. 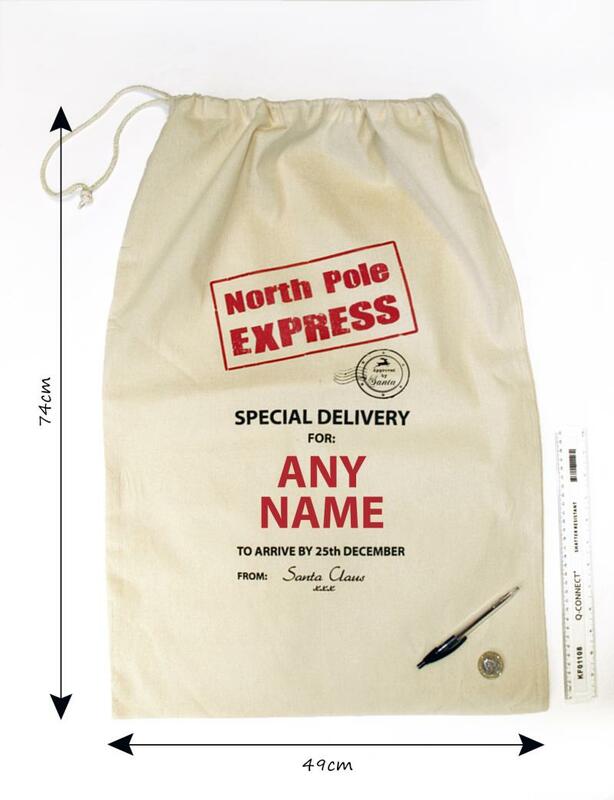 Each bag can then be personalised with your choice of name or names. The name is printed in upper case. If you wish to add 2 names (maximum) they will be printed in lower case.